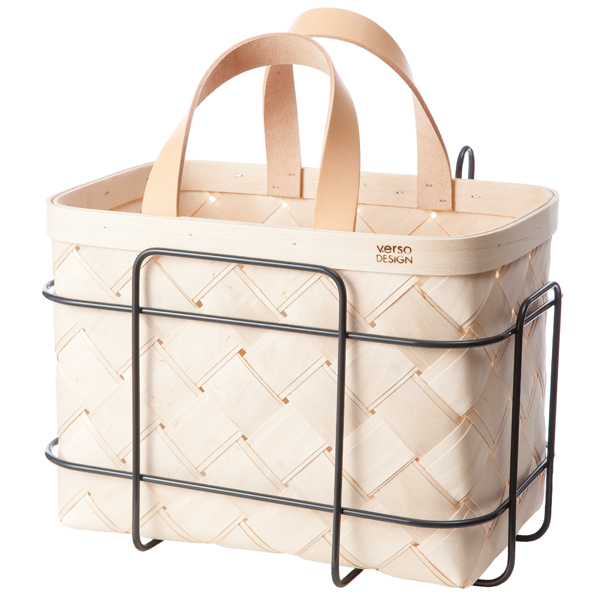 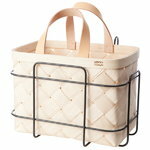 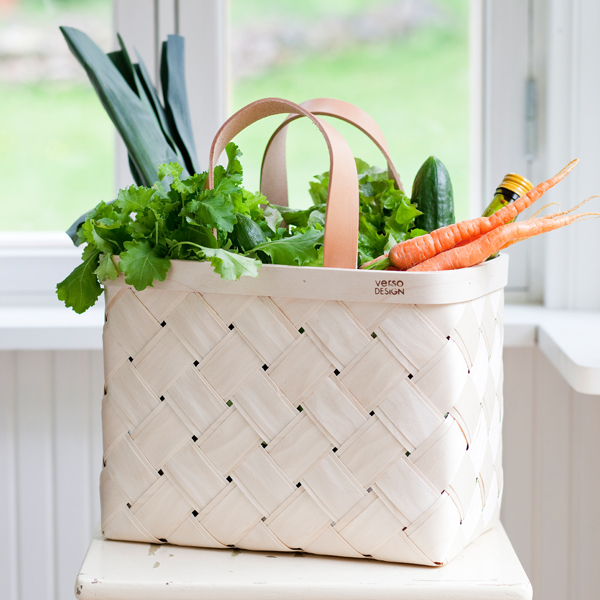 The Lastu shopping basket is a modern version of a traditional woven birch basket. 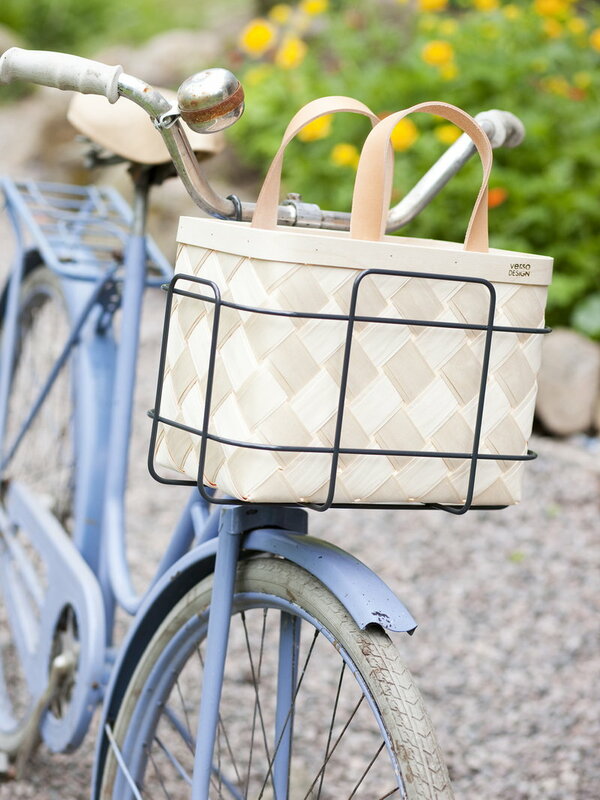 Two layers of birch provide more durability and the beautiful, a bit longer leather handles add a nice touch. 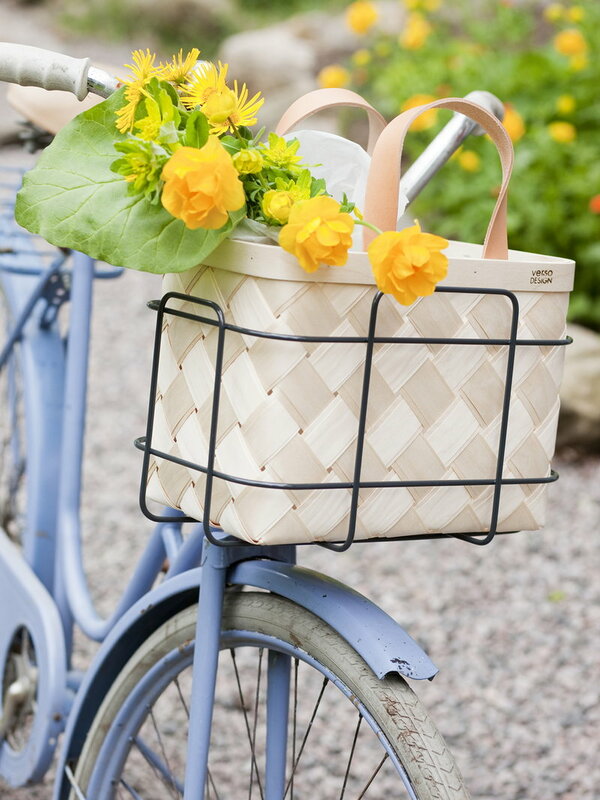 The removable bicycle basket carrier provided with the Lastu basket is easy to mount on the handlebars of the bicycle. The black carrier is made out of metal.